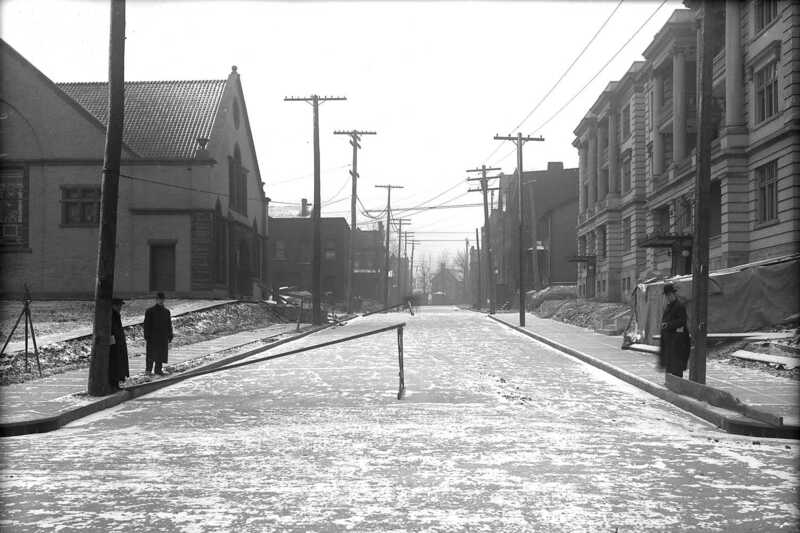 View of the intersection of Louisa Street and McKee Place, looking east down Louisa Street. Streets--Pennsylvania--Pittsburgh. ; Pedestrians--Pennsylvania--Pittsburgh. ; Louisa Street (Pittsburgh, Pa.). ; McKee Place (Pittsburgh, Pa.). ; Oakland (Pittsburgh, Pa.). My friend lives in that apartment building on the right! Cool!